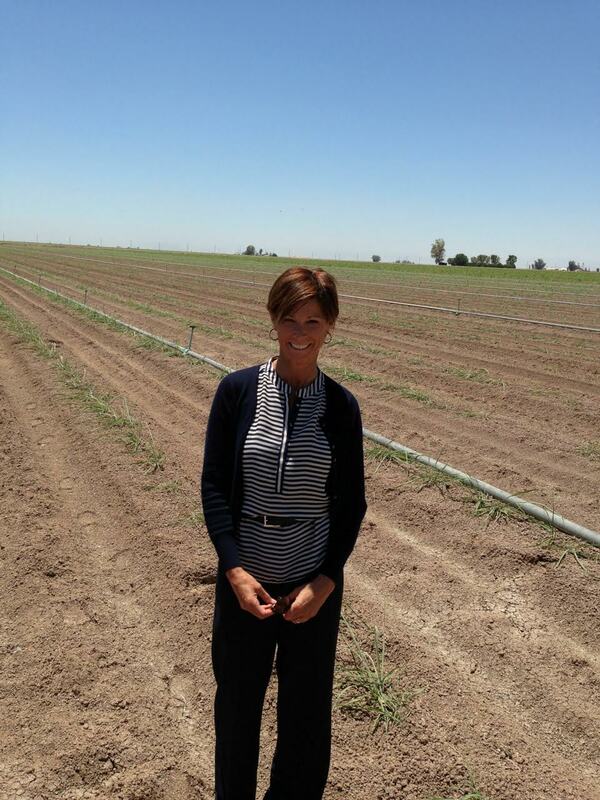 Editor’s Note: Vonnie Estes is an agtech consultant with a particular focus on building biotech-focused startups. She has worked in business development roles at three of the big 6 — Monsanto, Syngenta, and DuPont — and is a known face in the industry as a frequent speaker and writer. Here she drills down into the disruption taking place in the industry due to innovations in big data. Sometimes we only know there was a revolution by looking in the rear view mirror. That is not the case with the disruption in agriculture today. We can see the innovation and disruption that’s occurring in real time all around us. With the need to produce more food using fewer inputs, agriculture is seeking new products, practices and technologies. As a planet we must use fewer chemicals and less water. Subsistence farmers need to close the yield gap. Production farmers want yield boosts and cost savings. Consumers are demanding healthier, clean food and ingredients. Big data is causing the disruption to meet these needs. Start with the vastly increased supply of information everywhere from the plant genome to water management, fertilization, climate, soil, machinery, and crop protection systems. Add the expanding ways to get and use data both in both farming practices and advances in crop genetics. On the production side, this is changing the value chain in big ag as access to big data is transferring power to the farmer and smaller companies, while the big companies consolidate and struggle to innovate. Disruption will take big ideas, new business models and bold people. A new generation of independent companies are harnessing big data to generate new insights, practices and products. Traditional ag companies and supply chains will have to adapt if they want to keep up. – Development of new seed traits: Discoveries and access to the plant genome with new ways to measure, map, and drive information into better products, faster. – Precision Farming: Although sometimes confused, big data and precision agriculture are not synonymous. Big data takes advantage of information derived through precision farming in aggregate over many farms. The resulting analytics, insights, and better decisions can then be deployed through precision farming techniques. – Food Tracking: Use of sensors and analytics to prevent spoilage and food borne illnesses. – Effect on Supply Chains: Seismic shifts in the supply chains of seed, crop inputs, and food driven by the democratization of technology and information. The traditional process used to create successful crop varieties is costly, labor intensive, and can take 10 years or more. Big data speed things up. An explosion in biological information has occurred from advances in genomics: first, the onset of sequencing the genomes of model organisms and, second, the rapid application of high throughput, or automated, experimental techniques. This deluge of genomic information can be created and analyzed in the cloud. Biological research that used to start in greenhouses and fields now starts at the computational level (in-silico) where data can be analyzed, experiments planned, and hypotheses developed. From here, a much smaller number of plants needs to be validated in the field for performance across a wide range of environments, when a breeder can then determine which exact hybrid is best for a particular area. I’ve seen this amazing shift over my career. I no longer wear boots to visit breeding stations – the work is done mostly in labs. The new developments are not only cheaper and faster; we are able to do things we just couldn’t do before. Traditional genetic engineering tools brought drought, herbicide, and pesticide resistance traits to the market. Continued development will produce crops with improved quality and reduced economic and environmental costs. Many crops in development will be beneficial for farmers and consumers alike. Some examples are: high-calcium carrots, antioxidant tomatoes, nonallergenic nuts, bacteria-resistant oranges, water-conserving wheat, and cassava with extra nutrients. Through better tools, the time to field will be faster and cheaper. It will also be performed by smaller labs with less infrastructure. More data will be made available and analyzed through shared databases. Plant genomics innovation and cloud biology is empowering new and diverse start-up companies. Caribou Biosciences : CRISPR-Cas technology for gene editing (raised $44.6m). Benson Hill Biosystems: Advancing agriculture through plant biology, Big data analytics and cloud computing (raised $8.05m). Intrexon Developing new crop traits through developed and acquired technologies (public company). Cibus,: Deploying gene-editing tools to produce new traits including herbicide-resistant crops. Arcadia Biosciences: Using advanced screening, breeding and biotechnology techniques to produce new traits and crops (public company). Precision Biosciences: Genome editing technology company in the life sciences. Building an ag group (raised $25.65m). DuPont / Dow, Syngenta, Monsanto, Bayer, BASF are all active through organic growth and acquisition. Production agriculture is complex; where biology, weather, and human actions interact. Growers have quickly adopted new precision ag technologies in recent years. With the availability of GPS and other technologies, producers can track yields, steer and control equipment, monitor field conditions, and manage inputs at very precise levels across fields, substantially increasing productivity and profitability. At the same time data is rapidly accumulating in sets too large and complex to be studied without software. Data alone does not create insights; analysis and advisory services are required to help farmers sift through all of this new data. Software applications with machine learning at their core get smarter and more customized in their interactions with data, devices and people. As they learn, they provide a previously untapped opportunity for better decision-making on the farm. Big data firms can test varieties of genetics, crop inputs, and conditions across hundreds of fields, soils, and climates. They can conduct field-plot trials in real-life conditions over thousands of acres. This gives farmers information to optimize planting down to the individual seed in specific fields with specific soil and climate conditions. For crop protection suppliers, this means that products can be applied at different dose rates and tank mixes within a single field. This transparency has the ability to disrupt value chains and will likely be unpopular with some retailers, distributor dealers, and large seed and chemical producers. Information pushes power to the grower level by creating visibility of pricing and performance of brand-name inputs. Growers will be able to use fewer chemicals applied in very precise ways. Using generic inputs with precision may well give better results than using top brands across the field. More precise planting will likely lead to the reduction in the use of inputs by about 30 – 40% which, along with squeezing margins for the big ag inputs companies, could cause further consolidation in the supply chain. The rate of adoption of new ag technologies is increasing, despite low commodity prices and sustained low farm incomes. A recent market study done by Robert Hill of Caledonia reported that between 2013 – 2019, growers said they will double the number of technologies they deploy. Fifty-one percent said one of the features they are most interested in is hybrid recommendations matched to their field and soil type. Farmers Business Network: Agronomic information network using data analysis to aid farmers in making the best operating and procurement decisions (raised $24m). Climate Corp / Monsanto: Climate-based platform aiding farmers in operating decisions (raised $100M in venture funding to be acquired by Monsanto in 2013 for $1bn). Granular: Software and analytics platform that helps farmers manage and have visibility of data to operate more efficiently (raised $50M). Conservis: Cloud-based platform offers farmers a service-centric platform to track activity, integrate with outside data, and manage resources (raised $12.65m). Trimble: Develops positioning technology solutions for surveying, construction, agriculture, public safety and mapping purposes (public company). Farmers Edge: Hardware and software. FarmCommand system, automates collection, reporting of costs, and equipment data (raised $44.2m). Iteris : ClearAg division gives weather, water, soil and crop health advisory services through API’s or App (public company). John Deere, Bayer, BASF, DuPont are all building their own digital platforms both organically, and through acquisitions. Following food from farm to consumer prevents illness, reduces waste and increases profits. As the global supply chain gets longer, the importance of tracking and monitoring agricultural products continues to grow. Big data is being used to improve operations from stock levels at the warehouse and the retail outlet, to food temperatures that can be carried as a pedigree with food products across the supply chain. Food producers and transporters are using sensor-based technologies, scanners, and analytics to monitor and collect data about their supply chains. Temperature and humidity are monitored by GPS-enabled sensors, causing alerts in the distribution route where corrective action may be needed. Point-of-sale scanning at the retailer allows prompt, efficient action if a problem or recall occurs, even after the product has been sold. Genomic tools and big data analytics are also being used to understand food-borne pathogens and to predict outbreaks and the spread of pathogens and diseases. These technologies will help prevent food-borne illnesses that effect an estimated 76 million people in the US every year — leading to 5,000 deaths — and reduce waste in the supply chain — 40% of all food in developed markets is thrown away, including 10% to 15% of all produce. The Big 6-5-4 ag companies are being challenged as new technologies give farmers the power to know what to plant, when and how to plant, and what crop inputs to use to maximize harvests and profitability. In the past, innovation was concentrated in companies with the largest R&D budget, products to bundle, or the most market share. New technology, particularly in complex arenas like crop genetics, required a scale and infrastructure that was cost-prohibitive for small companies. The traditional, large ag companies may not be able to make the shift to supply farmers with both the best crop traits and the best information for farm inputs. Innovation favors the creation of new companies for a number of reasons. One is trust. Farmers must be convinced their data will be anonymized and they are less likely to want their information in the hands of large companies angling to push the products they make. The same is true with plant genetics. If independent seed companies are willing to contribute information in a database for better understanding of a wide variety of plant genomes, they don’t want that database controlled by one of the giants in the industry. The second reason is the desire for unbiased advice and a two-way flow of information. Even if the big companies were able to develop the best digital platforms, they will struggle to be seen as providers of impartial advice. There are many examples where incumbent companies have not been able to make the changes necessary to utilize new technologies. It requires different corporate cultures, different styles, and different operations. The Big Ag companies have large R&D engines to develop genetically modified seeds based on cumbersome technology. Now with gene editing and cloud biology, trait development can be done in a much smaller lab with less people and equipment. An additional hurdle to incumbents is the evolution of complex pricing strategies with layers of distributors, dealers, bundled offerings and rebates creating a lack of pricing transparency that resides in the current supply chain. There are plenty of opportunities for disruption here, similar to how Google transformed multiple industries, or Uber and Lyft are changing the personal transportation industry. Big Ag is already being reshaped by a series of large transactions. China National Chemical Corp. is acquiring Syngenta for $43 billion. Regulators are examining the proposed $130 billion merger between Dow Chemical and DuPont, which will carve out a new crop-science unit. And as I write, the dance between Bayer and Monsanto is continuing, which would be the third megadeal to change the industry that supplies the world’s farmers with pesticides and genetically modified seeds. According to the AgFunder Investing Report, over 500 food & agriculture technology startups raised $4.6 billion in 2015. Start-ups are taking on a vast array of challenges to improve and disrupt the production of food, energy and fiber. The big data revolution is in its early days, and most of the potential for value creation is still unclaimed. But it has set the industry on a path of rapid change and new discoveries; stakeholders that are committed to innovation will likely be the first to reap rewards. I’m hoping the big winners in this revolution are the producers, the environment, subsistence and small farmers, and consumers. This is the best time for disruptive acceleration in agriculture innovation, one that can empower new players in the supply chain to participate, benefit and significantly enhance crop performance. Great article. I was priviledged to be invited to present our company, RipeTime, as a big data case study at the recent PMA conference in Brisbane. Our data implications are huge and the ability to cheaply test fruit condition earlier and more sensitively than has been possible has big implications. We are measuring fruit environment ethylene and VOC levels down to a handfull of parts per billion (for a surprisingly low cost), trending towards sub one PPB as I write. It’s only by super-efficiency of supply chain, and the wide use of rich data that drives this, that we can hope to keep an increasing population fed. A good overview. I am currently employed as a data analyst in the payments industry, what relevant skills are necessary to move into the AgTech industry or more specifically the FoodTech Industry? Are the analytics skills transferable or is there a specific set of technical requirements that one needs to study to move into this area? Thank you. Amazing article. Since Brazil, I am permanently researching about the new technology trends that can be feasible to apply here considering our cultural, regulatory and market environment. The article brings the light to many shadow and confused forecasts about the near future at the Agriculture.